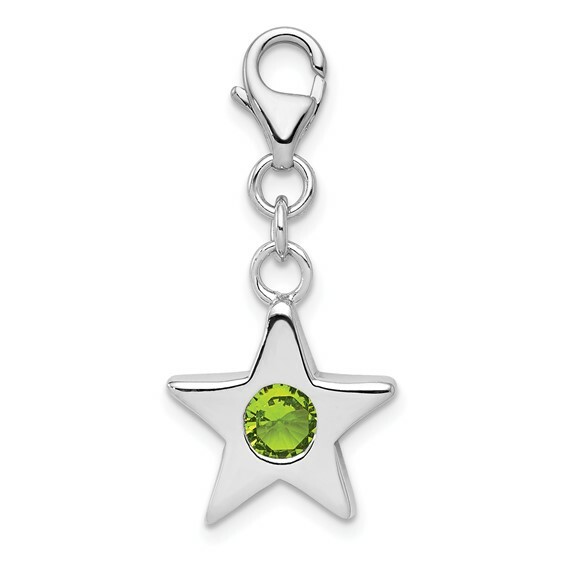 August cubic zirconia birthstone star charm is made of sterling silver. Item measures 9/16 inch tall by 9/16 inch wide without bail. Weight:1.95 grams. Lobster clasp.